To gain Internet access on Androis Mobile / tablet, iPhone, Mac or PC proper setting are required. Every Internet server provider has different Internet setting. In Android mobile phones, Blackberry, iPhones, Dongles and PC we need proper APN to Surf 3G / 2G / EDGE / GPRS Internet. 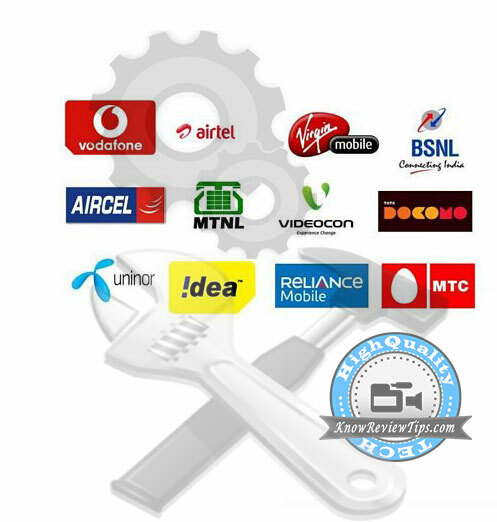 Nowadays most of the phones automatically detects Right APN and other Internet Settings when you insert SIM card (Bsnl, Airtel, Reliance, Vodafone, Idea, Aircel, Virgin, Loop mobile, Videocon) . All the below setting works of all mobile phones , Dongles no matter whether they are manufactured by Huawei, ZTE , Intex, iball, Micromax,MTS or any other manufacturer. These setting should also work on Allview, Amoi, Archos, AT&T, BenQ, Bird, BLU, Casio, Celkon, Dell, Ericsson, Fujitsu, Siemens, Gigabyte, Haier, HTC, i-mate, Icemobile, iNQ, Karbonn, Lava, LG, Maxwest, Micromax, Mitac, Modu, MWg, Neonode, Nokia, O2, Oppo, Palm, Pantech, Philips, Posh, Qtek, Samsung, Sewon, Siemens, Sony, Spice, Tel.Me., Thuraya, Unnecto, verykool, VK, Mobile, Wiko, XCute, XOLO, Yota, ZTE, Alcatel , Amazon, Apple, Asus, Benefon, BenQ-Siemens, BlackBerry, Bosch, Cat, Chea, Emporia, Eten, Garmin-Asus, Gionee, HP, Huawei, i-mobile, Innostream, Jolla, Kyocera, Lenovo, Maxon, Meizu, Microsoft, Mitsubishi, Motorola, NEC, NIU, Nvidia, OnePlus, Orange, Panasonic, Parla, Plum, Prestigio, Sagem, Sendo, Sharp, Sonim, Sony Ericsson, T-Mobile, Telit, Toshiba, Vertu, vivo, Vodafone, WND, Xiaomi, Yezz, YU yureka, Chinese phones, Motorola featured phone, Androids, iPhones, blackberry, Firefox smartphones, Windows Phone and Simple Internet enabled China Phones (WAP). Settings are Valid for : Andhra Pradesh, Assam, Bihar and Jharkand, Chennai, Delhi, Gujarat, Haryana,Himachal pradesh, Jammu kashmir,Karnataka, Kerala, Kolkatta, Madhya Pradesh,Maharashtra, Mumbai, North East, Orissa,Punjab, Rajasthan, Tamil Nadu, UP East, UP West, West Bengal. The Speed of Internet may vary due to your phone and due to the operator as well. 2G speed are slower than 3G speeds. GPRS is little bit slower than EDGE connectivity. You Can Increase Internet speed by using some tricks. Check your Internet Data Balance and Validity and Know 3g /2G DATA Plans price and how to activate them.